Martin Drewry is the Director of Health Poverty Action, an international NGO working to improve the health of the world’s poorest and most marginalised people. Previously, Martin was Head of Campaigns for Christian Aid for close to 10 years, playing a major role in Jubilee 2000, Drop the Debt and the Trade Justice Movement. His talk ‘Towards a Social Justice Approach in Global Health’ provides an overview of the key issues in which Health Poverty Action engages, including the need to build a global movement for health justice and some of the key issues that movement should address. 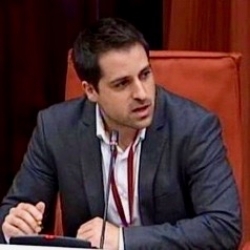 Koldo Casla is a Research Associate in the Institute of Health & Society at Newcastle University after completing his PhD at King’s College London on why Western European states promote international human rights law. He is also a Research and Training Officer for Just Fair, which works on economic and social rights in the UK. 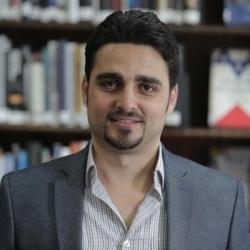 Koldo will provide a keynote address titled ‘What are the SDGs if not human rights indicators and benchmarks?’. In this talk, he will consider the extent to which the SDGs address human rights challenges and how a human rights approach can usher a paradigm shift in development efforts. 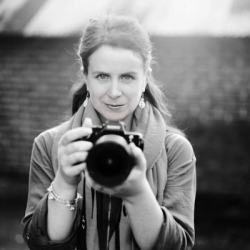 Lauren Anders Brown is an award-winning independent filmmaker specialising in documentaries on global health and humanitarian issues. 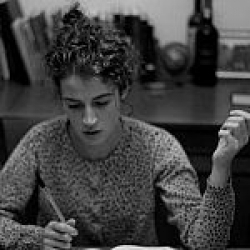 Her feature length documentary The Checklist Effect has been screened in over ten film festivals and has won four awards. Lauren has worked with the UN humanitarian response team to produce advocacy awareness videos regarding Rohingya women and girls. 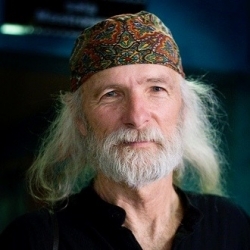 Michael Wadleigh is an Oscar-winning film director and cinematographer renowned for his groundbreaking documentary of the 1969 Woodstock Festival for which he received an Academy Award for Documentary Feature. He is also known for his cinematography in the 1974 documentary about Janis Joplin. Michael has travelled widely to present visual lectures on the future of humanity through his UNESCO Homo Sapiens Project. Michael will be delivering a keynote speech entitled ‘Tackling the Root Causes of Inequity: Extraction, Destabilization, Collapse – Closed Mass Laws’. This talk will consider resource extraction and atmospheric destabilization and the grave threat this poses to the globe. Dr Simon Rushton is a researcher and lecturer in politics at the University of Sheffield. His research centres on the politics of global health, with a particular focus on international responses to health crises, and the links between global health and security. He is editor of the journal Medicine, Conflict & Survival. Simon will be one of Sunday’s keynote speakers with the topic being: ‘Towards a more inclusive Global Health Security agenda’. 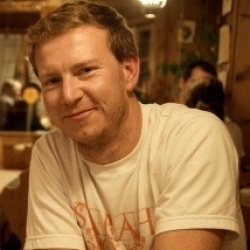 Simon will also be running a breakout session entitled ‘Participatory video as a means of bringing grassroots voices to policy audiences’ based on his current research in Nepal. Aleema Shivji is the CEO for Humanity & Inclusion UK (formerly Handicap International). Originally a qualified physiotherapist, Aleema has more than seventeen years of experience in the field of disability and is an expert on inclusion of disabled and vulnerable people in humanitarian emergencies. She is also a regular contributor to the Huffington Post regarding disability issues. 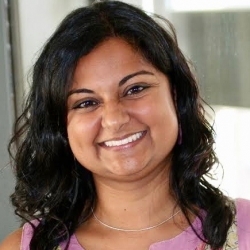 Aleema will provide a keynote speech titled ‘Where is disability in the Global Health Agenda?’ She will provide insight into whether the interests of those living with disability are reflected in the global health agenda during times of crisis and displacement. 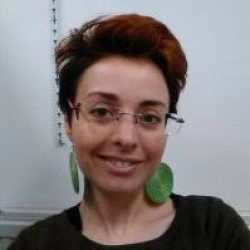 Dr Arianne Shahvisi is a lecturer in Ethics and Medical Humanities, Brighton and Sussex Medical School. She holds a masters in astrophysics, a masters in philosophy, and a doctorate in the philosophy of physics. Arianne approaches health from an ethical perspective, with her more recent work concerning feminist bioethics, global health ethics and social determinants of health. In her keynote address ‘Resisting the co-opting of women’s rights and seeking intersectionality in global health’ Arianne will shed light on the intersection between gender and global disease burden, and the implications of the global gag rule on reproductive and maternal health. 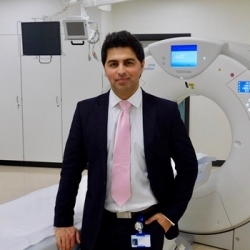 Dr Waheed Arian is a radiologist and founder of Arian Tele-heal, a UK based charity which uses internet and telephone services as a medium to assist to health professionals in Afghanistan. With over 100 individuals volunteering for Arian-Teleheal, the charity has helped to provide life saving measures to many affected by war. Inspired by the potential of telemedicine to save many more lives, Dr Arian has now begun to roll out the telemedicine scheme to other conflict zones, including Syria and a number of African countries. His achievements have been recognised with the UN Global Hero Award, the Health Service Journal Highly Commended Rising Star Award, and the Presidential Award from His Excellency Dr Mohammad Ashraf Ghani, the President of Afghanistan. 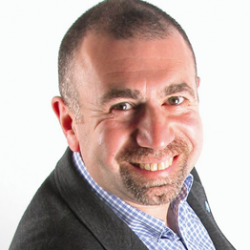 Dr Arian was also appointed as an NHS Innovation Fellow in 2017. Waheed’s keynote speech on Sunday is entitled Healing wounds of War through Telemedicine and will explore the role of tele-medicine in providing healthcare to populations in conflict zones. 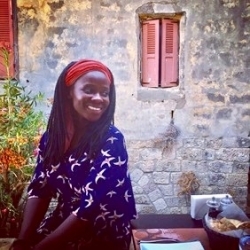 Esther Stanford-Xosei is a jurisconsult, community advocate, specialising in the critical legal praxis of ‘law as resistance’ and internationally acclaimed Reparationist. In this regard, Esther has charted new grounds, as an interdisciplinary legal and history scholar-activist in the theory, research and praxis of Pan-Afrikan Reparations for Global Justice. Esther serves as the Co-Vice Chair of the Pan-Afrikan Reparations Coalition in Europe (PARCOE). PARCOE have contributed to the development of the recently established International Network of Scholars & Activists for Afrikan Reparations (INOSAAR). 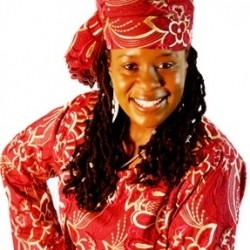 Esther is also the co-founder of the Global Afrikan Peoples Parliament (GAPP) and co-initiator of the ‘Stop the Maangamizi: We Charge Genocide/ Ecocide’ Petition and its campaign (SMWeCGEC). 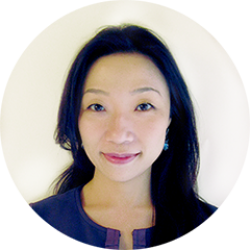 Dr Hu Yuan Qiong is a lawyer and researcher on intellectual property law, international law, and human rights. Alongside her research, Yuan works as Legal and Policy Advisor focusing on intellectual property for the MSF Access Campaign. 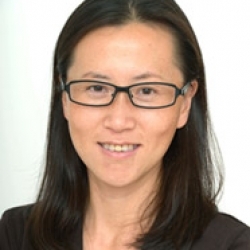 She is the Founder and Coordinator of China Access to Medicines Research Group. Yuan will be a panelist on the topic ‘Patents, intellectual property rights and unaffordable medicines: continuing the debate on access to medicines’. She will provide insight into the progress and barriers to widening access to medicines in low income countries and the corporate social responsibilities of pharmaceutical companies with regard to access to medicines. 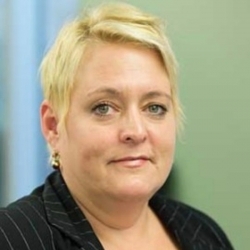 Christine Stegling is the Executive Director of the HIV/AIDS Alliance which works with communities in over 40 countries to take action on HIV, health and human rights. Christine was previously the Executive Director of the International Treatment Preparedness Coalition and prior to that she worked in Botswana for 10 years. Christine will be a panelist on the discussion of ‘Patents, intellectual property rights and unaffordable medicines: continuing the debate on access to medicines’ where she will shed light on the importance of communities in demand creation for medicines and how that has a role in advocating for drug pricing. 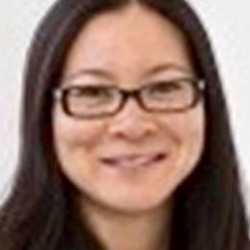 Dr Phoebe Li is a Senior Lecturer in Law at the University of Sussex. Her research interests revolve around intellectual property (IP), regulation of science and technology, development, and international trade. Her work aims to map the global commons in science and culture with a view to redressing polarisation and inequality under globalisation. Whilst completing her doctoral studies, she worked for the Intellectual Property Foresight Forum (IPFF) and the Information Technology Think Tank (ITTT) at Edinburgh Law School. Phoebe will be a panelist on the discussion of ‘Patents, intellectual property rights and unaffordable medicines: continuing the debate on access to medicines’ where she will discuss innovative frameworks to widen access to medicines for populations where limited financial incentives exist. Victoria Francois is a fourth year medical student at Brighton and Sussex Medical School and last year received her Masters in Global Health. She has a particular interest in discussing issues surrounding access to medicine and her dissertation explored the challenges remote island communities in Uganda face in trying to access all forms of health care. Her ongoing research project this year is focused on the representation of snakebite in sub-Saharan African media and has provided valuable insight into the barriers associated with snakebite treatment in low and middle income countries. 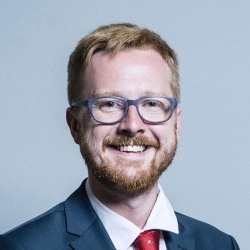 Lloyd Russell-Moyle is the Member of Parliament for Kemptown and Peacehaven. As an MP, Lloyd is on the Committees on Arms Export Controls, International Development Committee and the Sub-Committee on the Work of the Independent Commission for Aid Impact. Lloyd will be part of the panel discussion ‘Balancing priorities: Exploring foreign aid in the current political economy. He will contribute to discussion surrounding the UK spending on foreign aid: the arguments underlying the anti-aid rhetoric and the potential impact of Brexit on the 0.7% pledge for Overseas Development Assistance. 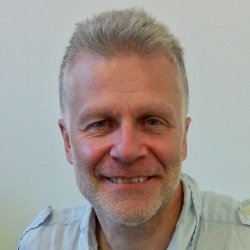 Dr Richard Alderslade has worked for thirty-five years in public health, national and local health administration, research and higher education in the United Kingdom, and for ten years in humanitarian and development international health. His UK work included a Senior Medical Officer appointment as Private Secretary to the Chief Medical Officer. Internationally he has worked for eight years in humanitarian public health work with WHO’s Regional Office for Europe. Richard will be part of the panel discussion titled Balancing priorities: Exploring foreign aid in the current political economy. 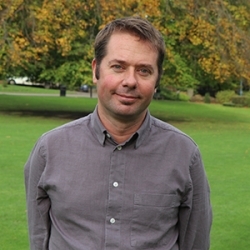 Richard Gledhill is a climate change and international development specialist. He is the Commissioner of the Independent Commission for Aid Impact, reporting to Parliament on the effectiveness and value for money of UK aid. He is the Director of The Climate Change Group and the Earth Innovation Institute as well as the non-executive director on the Natural Environment Research Council Executive Board. Richard will be a panelist for the discussion ‘Balancing priorities: Exploring foreign aid in the current political economy’. He will draw on his extensive knowledge to touch on the current motives and interests that influence donor preference. 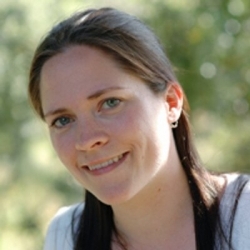 Melita Lazell is Senior Lecturer in International Political Economy at University of Portsmouth. Before she has held teaching positions at the University of Southampton and University College London. She is part of the collaborative research project ‘Assessing the Shifting Character of Contemporary Intervention in West Africa’, funded by the Faculty of Humanities and Social Science. She currently investigates donor responses to insecurity in the Global South. Her most recent work investigates the extent to which aid from multilateral donors reflects the trend towards securitization. 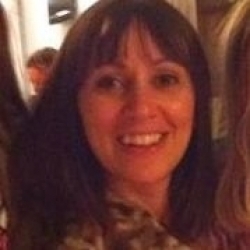 Lucy Lamble is the Guardian’s executive editor for global development. Before joining the Guardian, she spent twelve years at the BBC. 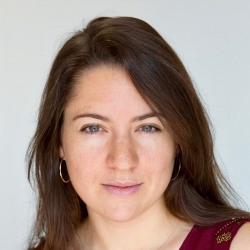 She also has NGO experience with the Wildlife Fund, the World Service Fund (now Media Action) and CSV Media. She has been based in Paris and several African countries including three years in Nigeria on a training and development project funded by the Department for International Development. Lucy will be chairing the panel discussion entitled ‘Balancing priorities: Exploring foreign aid in the current political economy’. 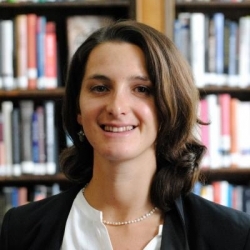 Dr Virginie Le Masson is a Research Fellow at the Overseas Development Institute. Her research centers on social inclusion and disaster risk reduction, which aims to improve development and humanitarian practice. Her recent work explores the linkages between gender-based violence, disaster risk and resilience. She regularly conducts vulnerability assessments and gender-awareness training in south Asia and Africa in collaboration with NGOs, the Red Cross, and UN agencies. Virginie will be part of the panel discussion entitled ‘Climate Change is a Public Health Emergency: How prepared are we?’ She will provide valuable insight on the intersection of social equity and environmental change. Dr Birgit van Munster is the cofounder of the Homo Sapiens Foundation alongside her husband, world-renowned film-maker Michael Wadleigh. The Homo Sapiens Foundation (UNESCO) is a self-funded non-profit corporation that emphasises global education and research on important planet-wide issues since humanity’s existence and projected into the future. Birgit will be a panelist on Sunday morning to discuss ‘Climate Change is a Public Health Emergency: How prepared are we?’ Birgit will take a wide-angle lens to consider the root causes of humanity’s inequity and how these center around resource extraction and the consequential anthropogenic climate change. Dr Kris Murray is an ecologist who lecturers at Imperial College London. His research interests centre on global change, conservation and health. He has researched extensively on the ways in which environmental factors combine with social factors to mediate infectious disease risks in wildlife and people, and how infectious diseases impact or threaten biodiversity. Kris will be leading a break out session entitled ‘Impact of climate change on infectious disease burden’. Kris will provide insight into how climate change and environmental factors influence disease emergence, infectious disease risks and disease burden. Nancy Lee is a Senior Policy Adviser at the Wellcome Trust. Her primary areas of work include regulatory policy and advocacy covering: regulatory frameworks for health research, regenerative medicine, the use of animals in research, clinical trials and global health. She oversees work involving European policy and regulatory issues and is the key policy contact with the WHO and other global health partners. Nancy will conduct a break out session entitled ‘Understanding the difference between Good Health Policy and Good Policy for Health’. The session will provide insight into the problem of prioritising politics and finance over delivering the right health policies. Tove Maria Ryding is the Tax Justice Policy and Advocacy Manager for the European Network on Debt and Development (Eurodad). Tove is an outspoken critic of the gaps and mismatches that allow for tax avoidance and the OECD’s inertia in addressing these problems. She has authored key reports on hidden profits and capital flight from developing countries and has coordinated fact-finding missions around the world. Tove will be conducting a break out session titled ’50 shades of tax evasion’ which sheds light on the opaque tax system in which tax loopholes are designed by governments for multinational corporations and deliberately hidden from citizens. Naana Otoo-Oyortey MBE is the Executive Director of FORWARD, the lead organisation in the UK tackling female genital mutilation. 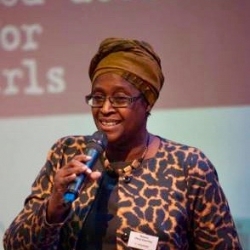 She provides expert advice to the UK government on women and girls and the European Parliament on FGM and has over 30 years’ experience on gender and women’s human rights. Naana was also listed in The Power 1000 of London’s most influential people in 2013 and 2014. Naana will be leading a breakout session entitled ‘Eliminating FGM: What will it take?’ discussing the contemporary challenges of FGM, evolving attitudes, domestic and international policy standpoints and emergent social justice solutions. 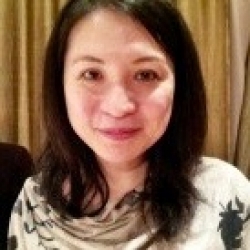 Naoko Hashimoto is a Research Associate of the Refugee Law Initiative, University of London. She has 15 years of practical experience in refugee and forced migration issues, working for UNHCR, IOM, and the Government of Japan. She has recently been selected as a fellow by the Robert Bosch Foundation of Germany to work on the theme of ‘Global Migration and Refugee Challenges’ for 2018-2019. Naoko will be leading a breakout session titled ‘Human trafficking, exploitation and health’ which will draw on her rich practical experience in refugee and forced migration issues to provide insight into the legal aspect of immigration policy. 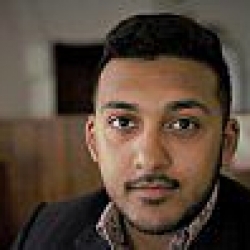 Ketan Jha is a PhD student in law at the University of Sussex with an interest in climate change, law and the humanities, and legal marginalia. His PhD thesis centres around climate change litigation and environmental legal theory. His thesis also examines the crucial role of judicial interpretation of increasingly complex scientific data. 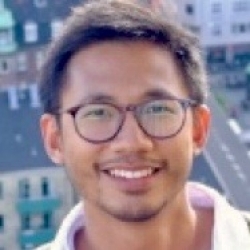 Ketan will be leading a breakout session entitled ‘Is climate litigation the solution to achieving environmental justice?’ In this session he will explore using litigation as a tool for mitigating climate change and how climate litigation can have a knock-on effect in other areas of global health justice. 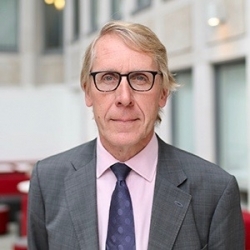 Peter Baker is the director of Global Action on Men’s Health (GAMH), a charity that lobbies international agencies such as the WHO and NGOs to develop research, policies and strategies on men’s health. Peter is an Advisory Board member for the Centre for Men’s Health and has been a fellow of the Royal Society of Public Health since 2009. 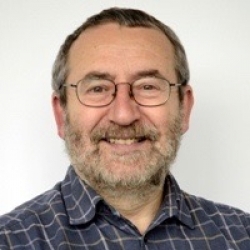 Peter’s break out session will be entitled ‘Are men ignored by the Global Health Agenda?’ It will consider how gender norms shape the health needs and behaviour of men and whether these needs are adequately reflected in Global Health policy. 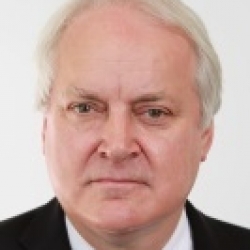 Dr Terry Cannon is a researcher and lecturer of Development Studies based at IDS and King’s College London. He is part time Director of Studies at the International Centre for Climate Change and Development, which is hosted at Independent University, Bangladesh. His main research focus is on disaster vulnerability and climate change adaptation mainly in south Asia and east Africa. Terry will be hosting a breakout session titled ‘Understanding the social construction of Illness: climate change, inequality and the root causes of illness’. This will highlight the interface between environmental injustice and health inequities and the realities of those disproportionately impacted by climate change. Rachel Thompson is an anthropologist who has a background in humanitarian work, international development and public health research. She is currently a Research Associate at the Centre on Global Health Security at Chatham House. She has conducted research on a range of global health topics including family planning, the Ebola response and universal health coverage. Rachel will be co-convening a breakout session along with Dr Abdulkarim Ekzayez titled ‘Healthcare Should Not Become a Casualty of War’ which will focus on how the global community can best respond to the health needs of people in the conflict with a particular focus on Syria. Dr Abdulkarim Ekzayez is a Syrian medical doctor and an epidemiologist. He is an Academy Fellow in the Centre on Global Health Security, Chatham House and works on the public health impacts of conflict, as well as challenges around the protection of healthcare in conflict both of which he has experienced first-hand in Syria. Abdulkarim will be co-convening a breakout session along with Rachel Thompson titled ‘Healthcare Should Not Become a Casualty of War’ which will focus on how the global community can best respond to the health needs of people in the conflict with a particular focus on Syria. 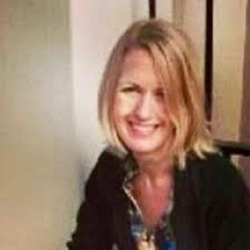 Annette Fisher is a freelance Accountability Practitioner & Researcher with an academic background in governance and conflict studies, and professional experience in designing and leading complex programmes in challenging environments. Annette has over ten years of experience in the fields of voice & accountability, youth advocacy and human rights, delivering projects in over 25 countries. Annette will be leading a discussion group titled ‘Time to put the last first: how NGOs are accountable to their benefices. Whose reality counts?’ as part of the session ‘A Spotlight On: Abuse, Accountability and the Realpolitik of Foreign Aid’. 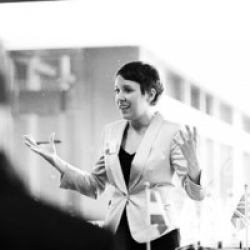 Marta Roxberg is Head of Institutional Funding at the Tony Blair Institute for Global Change, which aims to help countries deal with the challenges of globalisation. Marta has technical expertise in gender sensitive and human rights-based approaches to development. She has previously worked for the Tropical Health and Education Trust, CARE International and the International HIV/AIDS Alliance. Marta will be leading a breakout session titled ‘Exploring issues of accountability and power in Global health partnerships’ which will analyse the governance in global health partnerships, particularly the processes of decision making, transparency, and accountability. Dr Elizabeth Laruni is a Project Officer in Gender and Preventing Violent Extremism for the NGO International Alert based in London. Her current work considers the intersection between gender and violent extremism, particularly how improving the socio-economic status of women and addressing the root causes of gender-based violence can help tackle violent extremism. 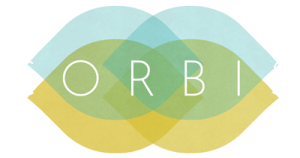 Elizabeth will be leading a break out session entitled ‘Securing justice for survivors of sexual and gender-based violence (GBV) in conflict and post-conflict settings’. She will highlight the challenges involved in accessing justice and healthcare for those who experience GBV in times of conflict. Dr Mark Lee is a paediatrician with interests in global child health, infectious diseases and tropical medicine. His experience lies in capacity building, humanitarian medicine and medical education in low-resource settings. Mark’s current work is for MSF at a paediatric ward in Monrovia, Liberia. Mark will be leading a break out session on Sunday afternoon entitled ‘Challenges and opportunities of providing health care in the shadow of Ebola’. Mark will draw on his experience as a paediatrician in Liberia to provide insights into how Ebola has shaped the health care system there and the opportunities for health system strengthening. 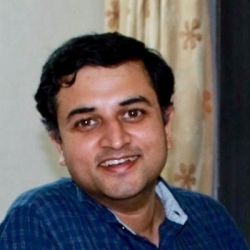 Dr Syed Abbas is currently working for his PhD at the Institute of Development Studies, analysing public policy response to zoonotic diseases in India. He holds a medical degree, and a postgraduate degree in public health. He joined IDS after working for six years in the Public Health Foundation of India on a range of areas related to infectious diseases and zoonoses. Syed’s breakout session is titled ‘Developing a Theory for Multisector Action on Health’ which he will deliver alongside his colleague Sophie Valeix. They will examine why, despite high visibility, multisectoral collaborations (such as One Health integration) continue to underperform. 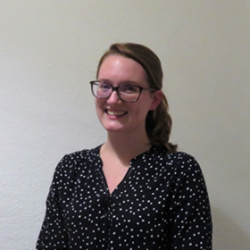 Sophie Valeix is a PhD student at the Institute of Development Studies exploring global health and zoonoses with a particular focus on Ghana. A veterinarian by training, Sophie has worked among veterinarians in Ghana to document their perspectives of multisector collaborations with regards to zoonoses and the One Health ideal. Sophie will be co-convening a breakout session titled ‘Developing a Theory for Multisector Action on Health’ alongside her colleague Syed Abbas. They will examine why, despite high visibility, multisectoral collaborations (such as One Health integration) continue to underperform. 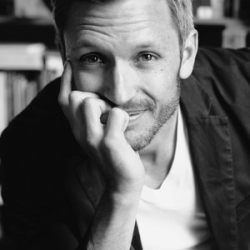 Dr Jason Hickel is an anthropologist who has taught at the London School of Economics, the University of Virginia, and Goldsmiths, University of London. His research focuses on global inequality, political economy, post-development, and ecological economics. He serves on the Labour Party task force on international development and is also a columnist for The Guardian. Jason will be launching his most recent book, The Divide: A Brief Guide to Global Inequality and its Solutions (Penguin Random House 2017), which has received glowing reviews for its radical critique of the global economic system and the growing inequality between the global North and South. Lauren Anders Brown is an award-winning independent specialising in documentaries on global health and humanitarian issues. Her feature length documentary The Checklist Effect has been screened in over ten film festivals and has won four awards. Lauren has worked with the UN humanitarian response team to produce advocacy awareness videos regarding Rohingya women and girls. Lauren will be screening her 2017 short film Six Year Old Fears, which was shot in Al-Zaatari Refugee Camp in Jordan. In a follow up interview and Q&A, Lauren will provide insight into the refugee crisis and the vital role of documentary film-making in resource mobilisation and advocacy efforts. Andrea Franceschini is an Italian independent filmmaker. He has directed many short films, including the award-winning This is Your Life. 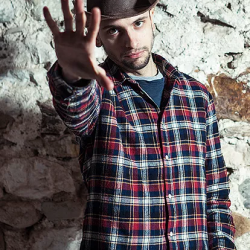 Andrea is also the director of numerous music videos and holds a PhD in Communication and New Technologies from the IULM University, Milan. Andrea will be screening his 2016 short film Al Hamdullilah: From Syria to Trentino which documents the life of a family of Syrian refugees leaving Lebanon. Following the film screening, Andrea will draw upon his experience and previous work to provide insight into conflict, migration and the refugee crisis during a Q&A session with the audience.